Continental Motors Group represents nine of the finest brands in the market today plus offers over 500 quality used cars to choose from. And while each of these great brands has their own unique benefits, the constant that remains is Continental’s Commitment to Care. For over 50 years, it’s been a Continental family tradition to care about our customers and the communities in which we live and work. We strive constantly to discover new and innovative ways to weave our dealerships into the fabric of the surrounding communities of Cook and DuPage County. Continental Motors Group support numerous local and school charities, and is ever-present at events where there is an opportunity to reinforce our brand, our love for what we do, and our commitment to being more than just another car dealership. The results are in, and the 7th Annual Drive for 75 was a huge success. All teams combined raised over $104,000! Way to step on the gas, teams! For 7 years, DuPage Pads and the Autobahn Country Club have teamed up to help raise over $500,000 towards our mission to end homelessness. Thank you to all who participated to help make this fundraiser's success possible! The mission of Helping Hand Center is to assist persons with disabilities to achieve their highest level of independence through quality programs and services. Continental Mitsubishi and Continental Toyota are working with Helping Hand Center "Project Search" to hire candidates with disabilities to work within our dealership. Continental Toyota has been long time partners with the Community Nurse Health Center of LaGrange. They have also been sponsors of their “X-treme 10 race” at Waterfall Glen which had its final run in 2016. Continental Toyota opened its doors to the community to host a Pinewood Derby Fundraiser for the Boy Scouts of America. This event was a first for the Toyota dealership, with 40 participants signed up to race. Prior to the event, participants could pick up their car kits and let their creativity do the rest for a chance to win one of the big prizes. Rental cars were also available to race for those who did not pick up a car kit. We are a proud sponsor of School and Tutors on Wheels, we provide our employees with the space and time during the workweek to take advantage of the ESL classes in our dealership. School and Tutors on Wheels is a neighborhood based adult English literacy program that empowers adults by teaching them English literacy and valuable life skills. They break the language barrier and set people on the road to a better life through free one-on-one tutoring in suburban Cook and DuPage counties. Every year we like to spread the Holiday spirit and give back to those in need. The Illinois Masonic Children’s Home provides a safe and nurturing environment for children who are unable to care for themselves due to various family or home conditions. For this reason, we have hosted the Illinois Masonic Children’s Home Christmas party at our Continental Toyota dealership for several years. It’s an evening full of fun games and a warm Holiday spirit. 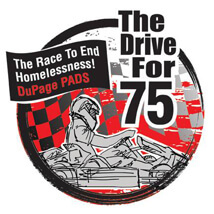 7th Annual Drive for 75 Karting endurance race to benefit DuPage Pads is scheduled for Sunday, June 25th. This event has raised over $485,000 in the past six years. Continental Motors Dealer Principal Joel Weinberger is the founder and organizer of this annual event which is held at Autobahn Country Club in Joliet. For more information, contact Diana Miller @ dmiller@dupagepads.org. 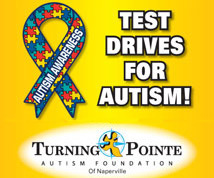 Continental Motors of Naperville, including Acura, Audi and Mazda, will again participate in the Test Drive for Autism April 2017 campaign. Last year, our three locations (Acura, Audi & Mazda) donated a total of $9,560 to Turning Pointe Autism Foundation. 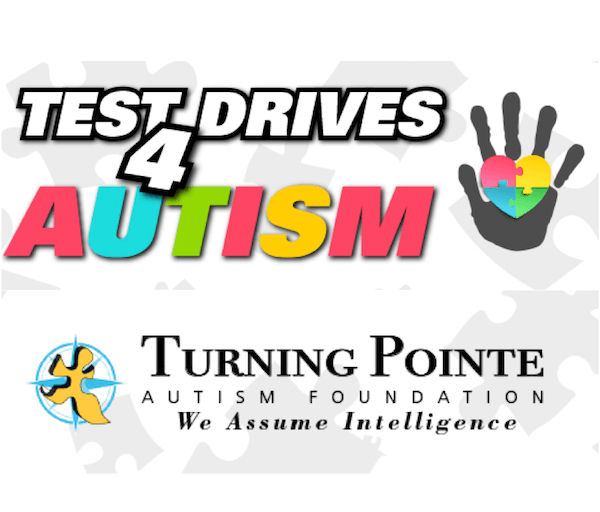 To learn how you can help support Turning Pointe, visit http://www.turningpointeautismfoundation.org. You can help at anytime by visiting Test Drives for Autism. During the month of April - Autism Awareness Month - car dealerships across the country will pledge to donate $20 per test drive to "Test Drives for Autism." every dollar donated goes directly to Turning Pointe Autism Foundation, a 501c3 nonprofit organization dedicated to assisting children, individuals, and families as they navigat the lifelong impact of Autism. 48 vehicles donated and counting! For the 6th consecutive year, Continental Motors Group teamed up with Naperville Cares and LaGrange Pillars for their annual “Driven to Care” Event, held on December 8th at Continental Toyota in Hodgkins, IL During this time of year, many organizations generously give back to those in need with food, gifts or monetary donations. However, Continental Motors Group again gave back to the local community they have served for more than fifty years with a contribution that lasts far beyond a season. Every dollar raised will help your local USO provide services and support for the troops and their families. In Illinois, the Chicago Automobile Trade Association has been a leading BBQ partner with the USO of Illinois as they enlist their dealership members to host BBQs to raise awareness and funds for local troops and their families. Already, more than 70 dealerships representing more than 35 communities across Chicagoland will fire up the grill, offer “free” services, such as car washes, and collect donations to support the USO of Illinois. One hundred percent of the proceeds raised will support troops deployed and at home; military families; wounded, ill and injured troops as well as families of the fallen. Race to end homelessness Drive for 75 was held on June 26, 2016 at Autobahn Country Club in Joliet, IL. The goal to raise $75,000 for DuPagePads mission. 11 karting teams competed in a 4 hour race while raising funds to end homelessness. $75,747 was raised. Continental Motors of Naperville was pleased to host this event! You can help too, visit DuPage Pads. 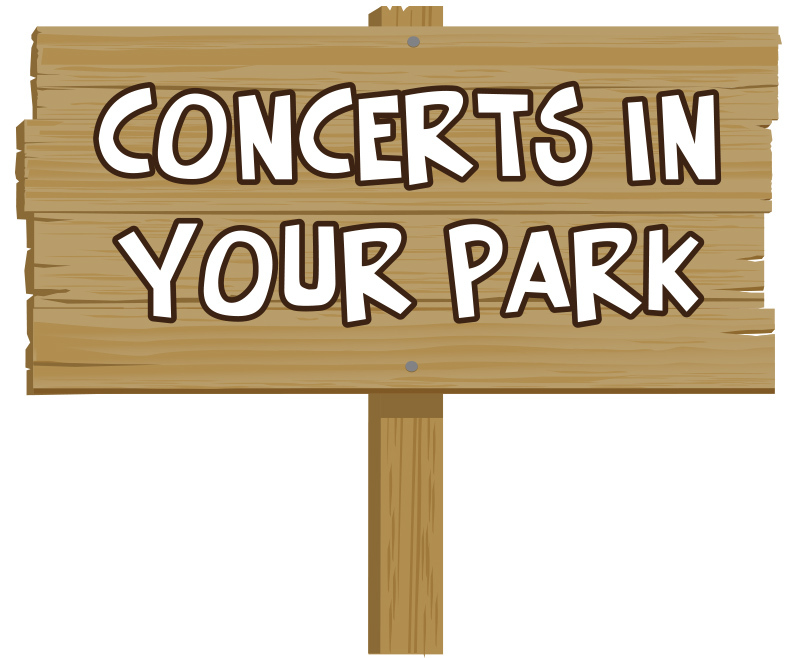 Be sure to visit The Naperville Park District's site for updated concert schedule. 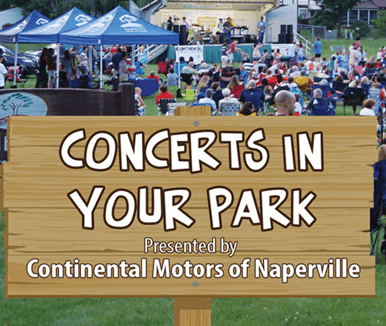 The summer concert series, Concerts in Your Park, presented by Continental Motors of Naperville, is enjoying its 11th season. An evening of fun is guaranteed with family-friendly entertainment to our local neighborhood parks throughout the community. All concerts begin at 7:00 p.m. and end by 8:30 p.m. The audience is encouraged to bring lawn chairs and blankets to enjoy a Sunday evening of musical entertainment. Be sure to stop by the Continental tent for a free gift! For more information visit Concerts in Your Park. Continental Acura put a team together consisting of dealership employees and our owner. Fun was had by all but the most joy came from helping raise funds for DuPage Pads. Continental Motors strikes again! Continental Motors strikes again! You can help too, visit DuPage Pads. During this time of year, many organizations generously give back to those in need with food, gifts or monetary donations. However, Continental Motors Group again gave back to the local community they serve for more than fifty years with a contribution that lasts far beyond a season. For the fifth consecutive year, Continental Motors Group teamed up with Naperville Cares and LaGrange Pillars for their annual "Driven to Care" Event, held on Wednesday, Dec. 2, 2015 at their Continental Toyota dealership, in Hodgkins, IL. Continental Motors of Naperville, including Acura, Audi and Mazda, will donate $20 to Turning Pointe for every Continental test drive taken on the Naperville Test Track! You can help at anytime by visiting Test Drives for Autism. 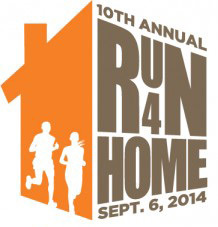 Race to end homelessness Drive for 75 was held on June 28, 2015 at Autobahn Country Club in Joliet, IL. The goal to raise $75,000 for DuPagePads mission. 15 karting teams competed in a 4 hour race while raising funds to end homelessness. Over $100,000 was raised. Continental Motors of Naperville was pleased to host this event! You can help too, visit DuPage Pads. 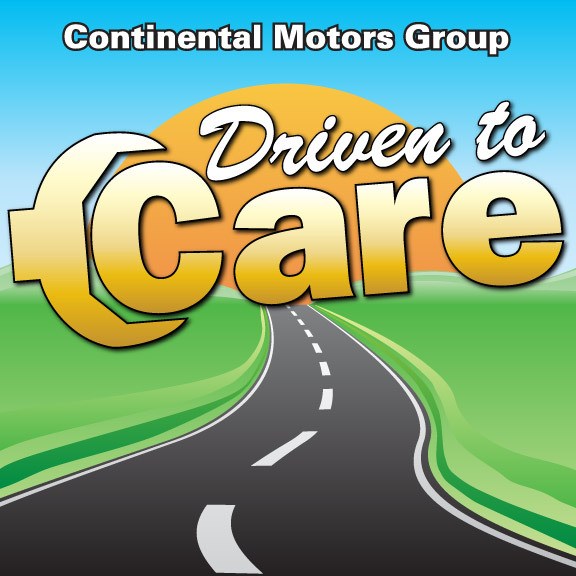 Continental Motors Group, in cooperation with Naperville CARES and LaGrange Pillars held their 4th annual Driven to Care Event on Wednesday, December 10th, 2014. Eight area residents from Cook County and DuPage County, who have been in economic strain, worsened by being without independent means of transportation, are now able to get around on their own using cars donated by Continental Motors Group. Vehicles were donated from the eight Continental Motors Group dealers. Also in November all 3 of our Naperville locations, Acura, Audi and Mazda was a food collection site for DuPage PADS. 36 food bags were assembled and distributed to families prior to Thanksgiving enabling them to prepare and enjoy a Thanksgiving feast with their loved ones. In continuing support of DuPage PADS Mission to end homelessness in DuPage County, Continental Motors of Naperville is sponsoring a Round UP campaign during the month of November. Clients are asked to round up their Service and Parts bill to the next dollar. 100% of all proceeds will be donated to DuPage PADS as well as a 100% matching contribution from Continental Motors of Naperville. Support DuPage Pads and the mission to end homelessness in DuPage County by 'rounding up' your CHANGE to the next dollar. 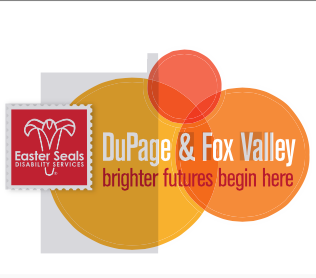 Make your donation today to help DuPage Pads and the families and individuals they serve. 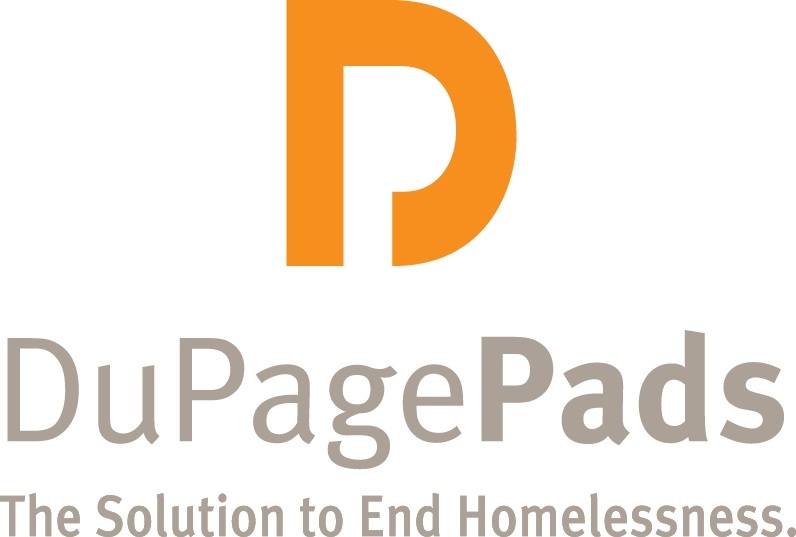 Continental Motors of Naperville is pleased to be a Diamond Sponsor and join DuPage PADS mission of ending homelessness in DuPage County. Continental Motors Group of Naperville and DuPagePads have teamed up for the fourth annual karting enduro for charity! 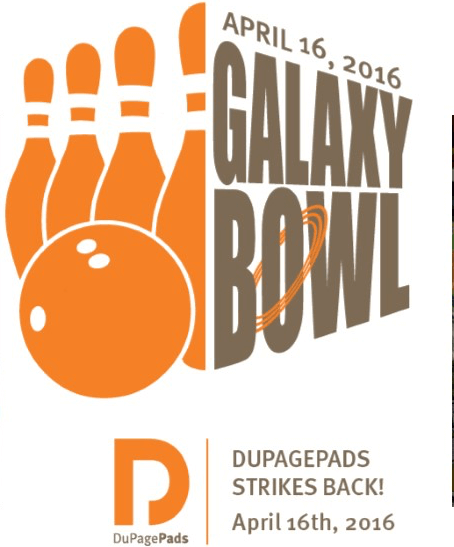 Fifteen teams competed to raise money for DuPagePads mission to end homelessness. Continental Motors of Naperville enjoyed the privilege of joining with Special Spaces to create a dream bedroom for a local Naperville girl. Visit Special Spaces for details of how their mission of creating dream bedrooms for children with life threatening illnesses is making a difference. During the month of April, Continental Motors of Naperville has again participate in the 3rd annual "Test Drives for Autism" fundraiser, contributing $20 for each test drive taken on the Naperville Test Track. You can help at anytime by visiting TestDrivesforAutism.com. Dealers donated $20 for each test drive. March, 2014 Continental Mitsubishi held their third annual St. Balderick's Event to raise money for life-saving children's cancer research. Continental Motors Group, LaGrange Pillars and Naperville Cares held their second annual Driven to Care Event on Thursday, December 13, 2012. Eight area residents from Cook County and DuPage County, who have been in economic strain, worsened by being without independent means of transportation, are now able to get around on their own using cars donated by Continental Motors Group. On Friday, March 16, 2013 Continental Mitsubishi held their third annual St. Balderick's Event and raising money for life-saving children's cancer research. Why all the shaved heads? Worldwide, more than 160,000 children are diagnosed with cancer each year, and it remains the leading cause of death by disease among children in the United States. With only 4 percent of all federal cancer research funding dedicated to pediatric cancer research, St. Baldrick's Foundation grant funds are critical to continue the battle against this devastating disease. The third annual Drive For 75: Race Against Homelessness, a six hour karting enduro, sponsored by Continental Motors Group of Naperville, to help support the mission of DuPage PADS., was recently held on February 24, 2013. Over $100,000 was raised to benefit DuPage PADS and will be donated to housing, life skill coaching, and more for those who are homeless in DuPage County. The Seventh Annual Taste of Hope was held on March 14, 2013 at Abbington Banquets in Glen Ellyn. The Taste of Hope featured chefs uniting to end homelessness. Signature dishes from the area's most elite restaurants with wine pairings from Wente Vineyards. Continental Motors was proud to be the Diamond Sponsor of the event. It was truly a delicious event supporting DuPage PADS. During the month of April, Continental Motors Group participated in the 3rd annual "Test Drives for Autism" fundraiser, contributing $20 for each test drive taken. Continental Motor Group donated over $20,000 to support the Turning Pointe Autism Foundation in Naperville.